Game 7: it's one of the most thrilling concepts in sports, when a grueling marathon comes down to one final sprint. It's a pleasure we enjoy tonight, as the World Series is going seven for the first time since, well, 2011, when another team from Missouri surprised the nation. We arrive here thanks to the Kansas City Royals' pounding of the San Francisco Giants in what could otherwise have resulted in a celebration by the Bay. Not only do the Royals stay alive, they take the initiative as well. 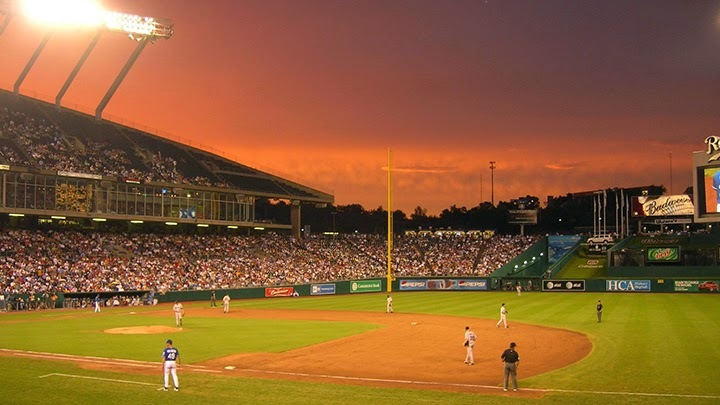 At 55%, they are narrow favorites going into the final game, largely due to the setting rather than the talent of the hometown ball club. That's a 29% boost over their previous numbers following Game 5, when they trailed 3-2. According to FanGraphs, the Royals increased their chances of winning Game 6 by a whopping 42.2% in their seven-run bottom of the 2nd. Combined with Rational Pastime's WS% numbers, this implies that the Royals increased their chances of winning the World Series by 22% in that half inning alone. 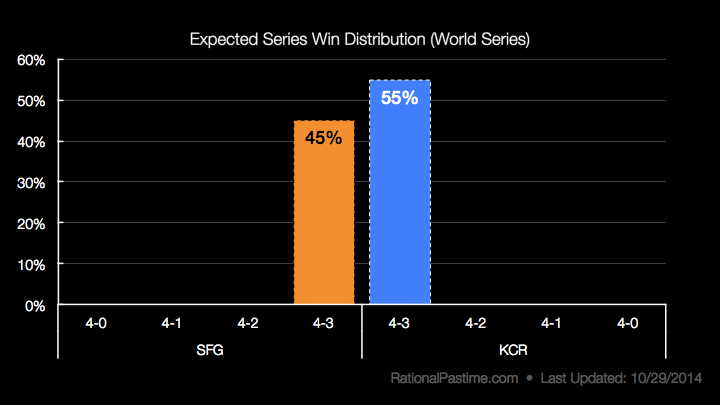 With the remaining game at Kansas City, the Royals enjoy a home field advantage of 10%. As you can see, were venues flipped the Giants would have essentially the same advantage. Kansas City's success last night boosted their Power Score and deflated San Fran's, leaving the two teams essentially equal. How close to equal are they? Were the two clubs to play a thousand games on a neutral field, the Rational Pastime model would expect San Francisco to win only four more than Kansas City. 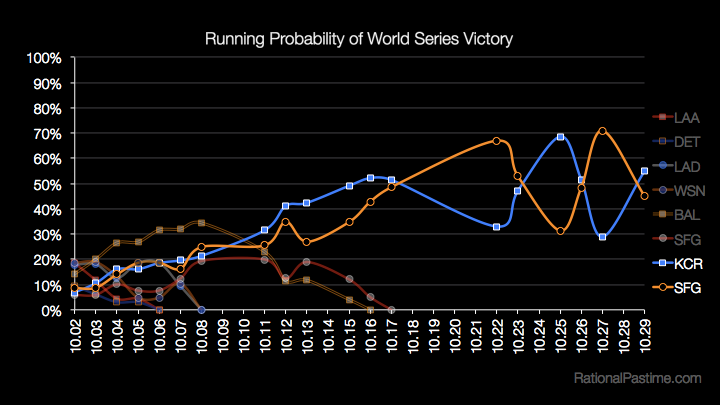 Check back tomorrow for a quick review of the 2014 MLB Playoffs following this World Series' dramatic conclusion.